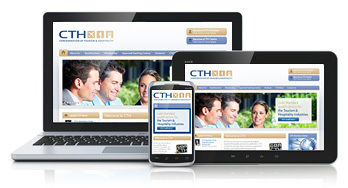 On Monday 24th June CTH’s brand new CTH website went live at www.cthawards.com, featuring an updated structure, much improved graphics and responsive design. The new site brings cthawards.com in line with CTH’s new online CTH Members area which was launched earlier this year and is the next step in the on-going upgrade programme of all aspects of CTH’s operations. All the information is now much more clearly set out and the site has been re-planned to make it much easier to surf around and find the information you require. Take a look at the new and improved website. We hope you like it!